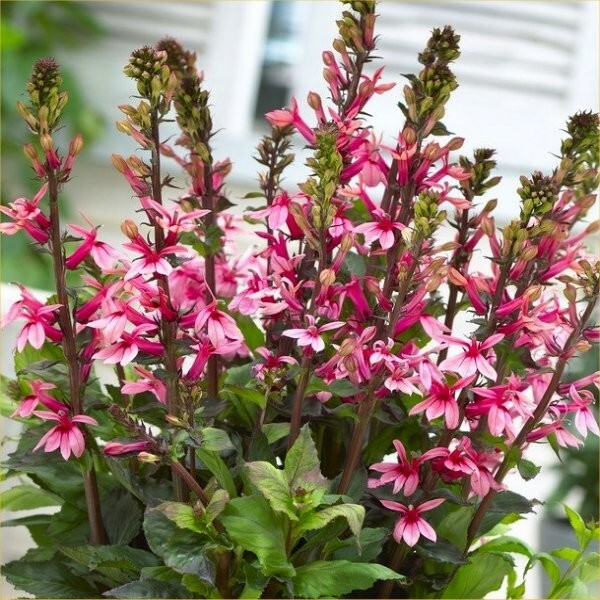 Lobelia speciosa Fan Salmon is a fantastic perennial plant, with lovely salmon-pink flowers carried on tall stems 60-80cms tall. 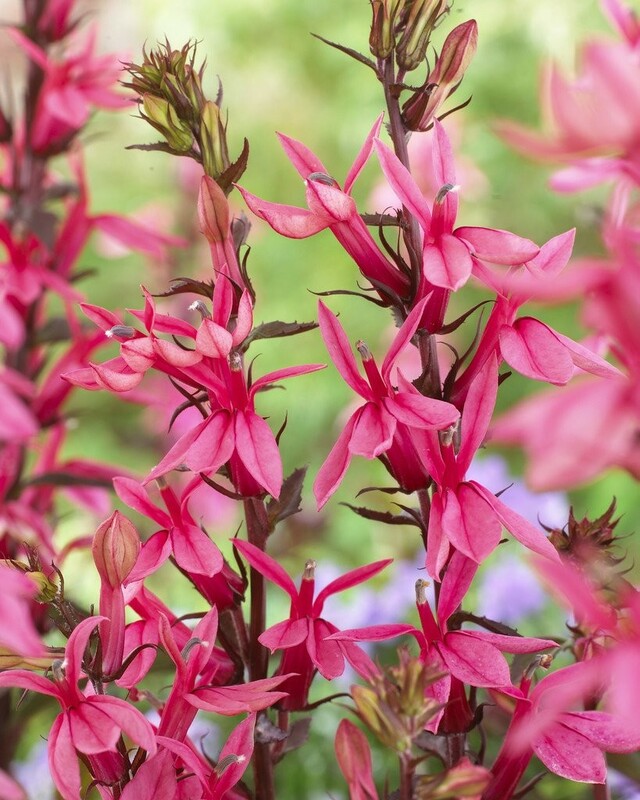 Compact and bushy, with attractive bronzed foliage, these are ideal in a mixed border, coming in to their own in mid-late summer. 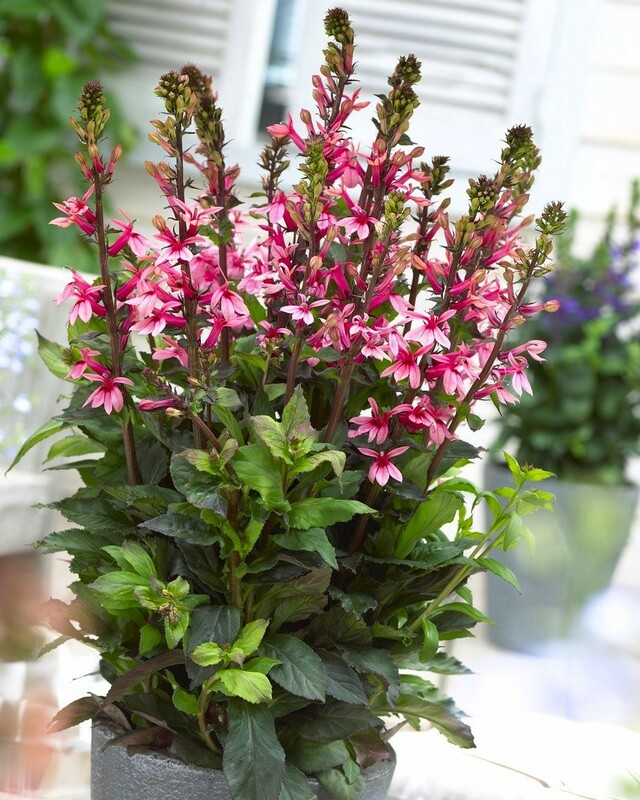 Why not try them combined with other summer flowering plants in your borders or even to add a touch of softer colour in a tropical themed garden. They do really well in a damp position, even on the margins of a pond planting, mulch for winter and watch them grow back bigger and better every year.